Website design companies Norfolk Virginia | This medical services legacy website continues to generate online customer leads and support existing customers. The website was developed in open source HTML, CSS and Java Script. 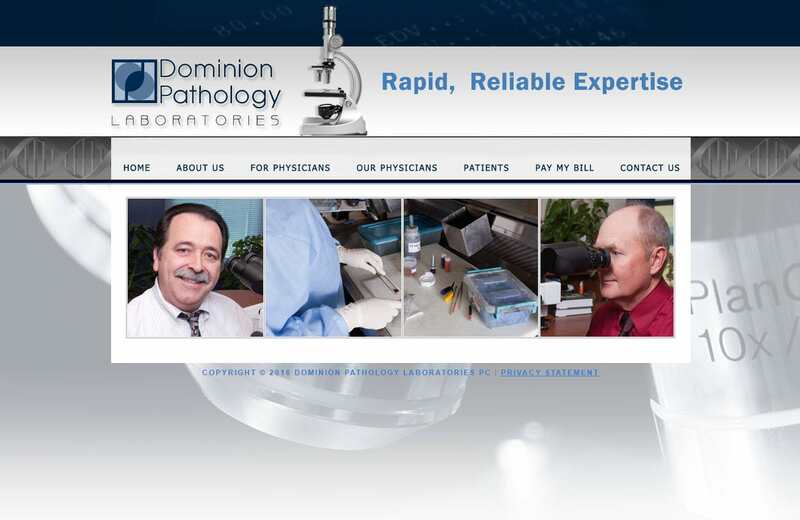 Dominion Pathology officers are based in Norfolk, VA. VISIONEFX provides the finest in website design for medical businesses, website design for doctor offices, and website design for healthcare providers. Searching ‘Website design companies Norfolk Virginia’ find the web design experts at VISIONEFX.